When choosing a truck bed, and the need for durability and longevity are essential, the debate comes down to two options: steel or aluminum. 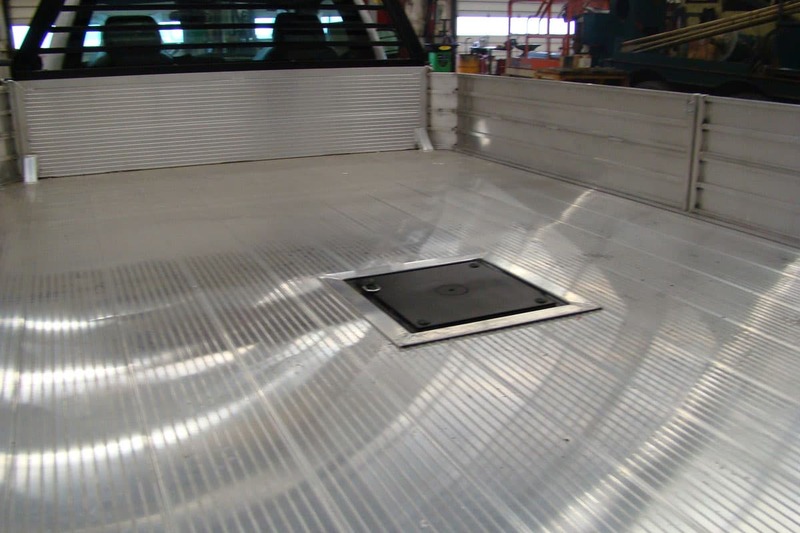 So should you choose aluminum truck beds over steel? While opinions certainly vary, the obvious choice is nearly always aluminum for a variety of factors. Aluminum is a much lighter material than steel which will benefit the driver in a number of ways. For one, it means the driver can carry heavier loads, meaning less trips without any loss in performance. A lighter weight also increases fuel efficiency and the overall handling of the vehicle. While these differences may appear negligible, over the long term it will add up to a lot of time and money saved.While the initial coast of installing an aluminum bed will be more than a steel one, it will quickly pay for itself. Look towards the long term when assessing the cost of an aluminum bed versus a steel bed. It may come as a surprise, but aluminum is actually far more durable than steel when it comes to withstanding aging and weather damage. If near the coast, steel beds tend to rust and corrode fairly quickly and often times need replacing within a few years, whereas aluminum tends to resist salt damage. Aluminum is also the better metal for colder climates. During the winter months, the cold weather can be very harsh on steel beds, causing the steel to become brittle or rust, not to mention road salt corrosion.Two things to keep in mind, though. Aluminum will not corrode as quickly as steel, but over long periods it can still wear down if not treated with some care. Also, new aluminum beds have a nice shine to them, but this will not last forever. This does not meant the aluminum is damaged, it is just weather staining and can be polished out easily. This is the big shocker. Aluminum can be heat treated to nearly the same strength as steel, but it is also important to keep one other fact in mind. Aluminum is a third the weight of steel, meaning it is a simple matter of using a thicker gauge of aluminum to achieve more strength than steel can provide, and still be lighter. 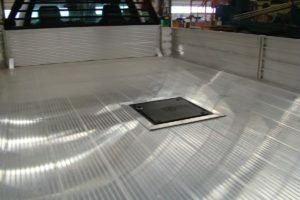 So, when choosing between aluminum or steel for a truck bed, aluminum should be an obvious choice.